Two of the most respected champions of the vocal profession have received the highest honors for their legacy as educators. 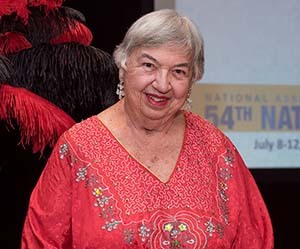 At the 54th national conference of the National Association of Teachers of Singing, Virginia Zeani and Joan Frey Boytim (pictured, right) were given the organization’s Lifetime Achievement Award. The award ceremony was part of the NATS gala celebration banquet, which closed the biennial conference attended by a record-setting number of delegates. After retiring from the operatic stage, Zeani, together with her late husband, Nicola Rossi Lemeni, began to teach at Indiana University in 1982. Both were later honored as Distinguished Professors. Click here to watch Virginia Zeani's award presentation video. A native of central Transylvania, Romania, Zeani made her professional debut at Teatro Duse in Bologna at age 22, in what was to become her greatest role. Since that first performance in 1948, Zeani sang Violetta in La Traviata more than 600 times around the world during her career. 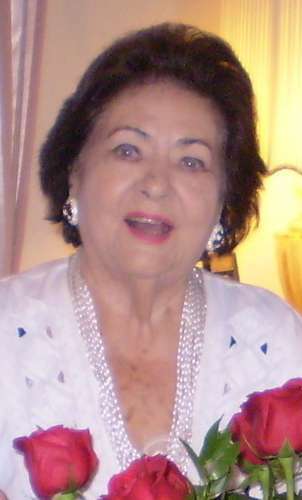 She is the recipient of many major awards, including Commendatore of the Italian Republic. In 2010, “Classical Singer” named her Teacher of the Year. That same year, King Michael of Romania awarded her his highest honor, The Royal Decoration of Nihil Sine Deo. Also awarded was Joan Boytim, who has devoted her life to sharing her musical talents and skills while enjoying a brilliant career as a teacher, author, compiler of song anthologies, arranger, clinician and professional performer. Boytim earned a Bachelor of Science degree in Music Education and a Master of Education degree from IUP in 1955 and 1964, respectively. For her accomplishments and her remarkable contributions to aspiring musicians and vocalists, and to the profession of studio voice teaching, she was awarded recognition as a 2007 distinguished alumnus at IUP. In 1956, Boytim opened her own studio as a private voice teacher. Over the years she has taught well over 1,000 teenagers and community adults. In addition to teaching privately, she also taught junior-high general music, senior-high choral music and instrumental instruction in the Carlisle Area School District in Pennsylvania. She served four years as an adjunct voice professor at Messiah College in Mechanicsburg, Pennsylvania. She continues to teach in her Carlisle studio and presents her students in recitals and other community programs. Click here to watch Joan Boytim's award presentation video. Her book, “The Private Voice Studio Handbook – a Guide to All Aspects of Teaching,” was published in 2003 and revised in 2014. To date, more than one million copies of her publications have been sold. She also shared the honors with her late husband James A. Boytim, Ed.D, a 1959 IUP alumnus, who passed away in 2014. “Jim was my inspiration in guiding me through the many decisions in my life. For 53 years he gave me complete freedom to pursue my dreams to make community voice teaching a profession of excellence,” said Boytim. In 2015, Boytim provided major financial support for the professional development of independent studio teachers by offering up to 14 awards for independent teachers to attend the NATS National Conference. As a result of her generous contribution, NATS renamed its Independent Teacher Fellowships the Joan Frey Boytim Awards for Independent Teachers. “Her students all know her as a dedicated and exacting teacher, a collaborative musical partner and a champion of our association and profession,” said Norman Spivey, outgoing president of NATS. “Joan has touched us all, sharing a legacy of publications and successful students. She has reminded us that when we teach our students, we really are changing the world,” added Spivey. Boytim with (left) Allen Henderson, NATS executive director and Norman Spivey, NATS president.